Are you looking for a tough truck? Do you want something with a diesel roaring under the hood? Maybe you just want a true SUV? We have all of those and more right here at Segler Auto Sales. With a wide variety of heavy-duty trucks, diesels, and SUVs, you are sure to find the right vehicle for the job. We have all the brands you love including Chevy, Ford, GMC, Ram, Toyota, and more. 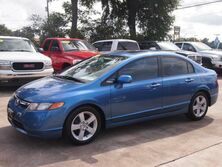 We also have a few cars in our inventory as well. 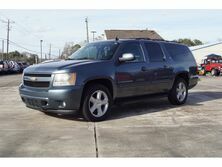 When you need a used vehicle, come to us first, and you won’t be disappointed. Our dealership is proudly located in Richwood. We have called this area our home since 1982. Since the day we opened, we have been a family-owned and operated dealership, and we intend to keep operating in the same manner for decades to come. From Richwood, we can easily serve Lake Jackson, Clute, and countless other communities near the Texas Gulf Coast. Come to see us soon, and we will help you get into the used truck, SUV, or diesel that you need! Mr. Segler was a hoot! We had so much fun discussing the vehicles on his lot. 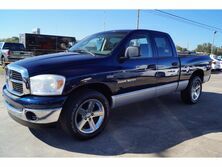 The truck we wanted was no longer available but he took the time to show us everything comparable. We will certainly be back.